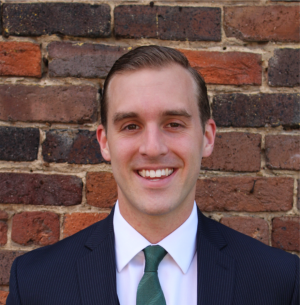 From the sleek black and white web design to the firm’s blog which bears the tag line, “a fresh pour of legal wit,” everything about Carolina Craft Legal’s websitesays “forward thinking and innovative.” Managing attorney, W. Michael Boyer graduated from the Charlotte School of Law in May 2015, passed the Bar in July 2015 and launched his practice in November of the same year. The growing practice recently added fellow Charlotte Law alums, Cameron Rodeffer and Blake Monroe to the firm in May. Boyer is the epitome of entrepreneurial spirit and perhaps that’s what makes him so passionate about his clients. “Most of my clients are entrepreneurs, whether directly involved in the alcoholic beverage industry or driven by the same principles of localism and sustainability,” says Boyer. I had the opportunity to speak with Boyer about his firm and learn more about how his firm is navigating the legal box so their clients can think outside of it. 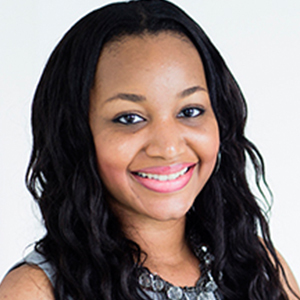 LM: What led you to launch Carolina Craft Legal? MB: A lot of things coalesced in my final year of law school. I lived in Charlotte’s South End and would walk across the bridge into Uptown every day for class. I saw firsthand the local economy-big business duality that has given the Queen City its vibrant air. I found the entrepreneurship piece extremely compelling. In places like South End and Plaza Midwood and NoDa, it’s not enough for a business to simply exist. The successful players are quite savvy and well-versed in all aspects of running a thriving business—especially the legal aspects. They have to be. As it pertains to beer, and craft beer specifically, my colleagues and I saw that sub-genre of entrepreneurship as an effective anchor to local economic growth and revitalization. Charlotte is home to one of the fastest growing beer scenes in the region. Coincidentally or not, the growth of concept, artisanal and craft-inspired businesses is following suit. One of my colleagues, Blake, came from within the craft beer industry. The connections we made with the local brewers, distributors, retailers and beer peers gave us great insight into the broad spectrum of legal issues businesses within the alcoholic beverage space have to navigate. To us, the logical leap was to create a practice positioned to be of counsel to those concentric circles of “craft” and facilitate the growth of a sophisticated network of entrepreneurs contributing to the well-being of a city and state we love. In a word: passion. LM: What has been the most challenging aspect of starting your own firm? MB: Practically speaking, the most challenging aspect has been client acquisition. Developing a brand, building its presence and increasing its visibility within our target market is an ongoing challenge. I believe every entrepreneur grapples with some variety of that frustration. Philosophically speaking, manufacturing confidence, to me, is the toughest piece. I have a profound respect for the legal profession. Being admitted to the North Carolina Bar was without a doubt my proudest moment. Learning to practice law while running a business is a tall, tall order. I am conscientious of not only how prospective clients perceive Carolina Craft Legal, but also how its reputation is developing within the professional community. So developing an authentic, yet reasonable confidence, like client acquisition, is an ongoing challenge. LM: What advice do you have for anyone looking to branch out and start a niche practice or create their own lane in this industry? MB: American Transcendentalist Ralph Waldo Emerson wrote in his essays on self-reliance that, “The force of character is cumulative.” I think waxing poetic about that would do an ironic disservice. My advice will only echo the point. It has taken an unequivocal commitment to both the failures and successes of this practice over time to create a cumulative upward trend. The “niche” or “boutique” aspect that overlays what is fundamentally a business and administrative law practice is really the easiest part. If you’re predisposed to creativity, you can cultivate an awesome conceptual framework. But there is no substitute for substance. That takes time. I think the willingness to be passionate and keep at it is really the only advice there is to give. MB: Piggybacking the last question, watching the cumulative growth of Carolina Craft Legal is the most rewarding aspect. The colleagues I spoke of in the first question, Cam and Blake, recently joined the ranks after being sworn in. The original cast of CCL clients has really matured. The relationships that have evolved out of our commitment to finding innovative solutions for them are truly awesome. Seeing this practice through has also afforded the opportunity to become involved with several local organizations, a couple of universities and a swarm of folks devoted to leveraging their own respective competencies to enhance the entrepreneurship ecosystems around us. To that end, we have a few new ideas on the horizon, so I’m grateful that we’re in a position to bring them to fruition. LM: Are there any challenges you have faced as a millennial lawyer that some of your more senior counterparts don’t face? MB: Not in particular. All established attorneys were 26 and freshly minted at one time (although not necessarily at the same time). The Internet-ing of things has definitely ushered in an era of evolution and innovation within the legal field, but all attorneys are navigating that terrain simultaneously. The only real distinction is when in our respective careers we are doing that. Certainly younger attorneys are being introduced to a field in flux and have that to add into the mix. But all attorneys, regardless of their substantive focus or type of practice, had to find their sense of self, grow their network and learn how to move successfully in the profession. If anything, young attorneys are more apt to leverage the unprecedented information flow we have at our fingertips. That, perhaps, might be the equalizer. LM: As a millennial attorney, do you feel as if more of your peers will start their own firms instead of joining firms? Why or why not? MB: I would say that I have a unique perspective on this, but I do not believe that is the case. I think there is a trend generally right now toward market fragmentation within the legal profession. More and more attorneys, regardless of their age, are opting to take the entrepreneurial leap. Technology has really enabled that. One of my mentors and former professors recently began a niche practice. Having said that, I would be remiss if I did not at least mention the supply and demand of attorneys nationally. Larger firms have certainly leaned out a bit in recent years behind increased demand for transparency in billing practices by corporations. But there are also more attorneys than ever fighting for fewer and fewer spots within traditional firm environments. Educational institutions around the country are recognizing this and reimagining legal curriculums to equip students with practice-ready skillsets while still in law school. Combined with technology’s role in lowering the barriers to entry in the legal market, those attorneys with a solid practice-ready foundation and reasonable knowledge of the inherent risks can make provisions to step out on their own much earlier in their careers. LM: What sets your firm apart from other firms who focus on the same practice areas? MB: Flexible payment methodology and an inherent value proposition. Carolina Craft Legal was designed to be a decentralized practice with minimal overhead. We see the potential to develop alongside our clients as we help them hit their growth milestones. The market we’ve identified, spearheaded by the craft alcohol industry, is one we know well. Our representation of each client is thus a bundle of decisions anchored in business strategy. For example, the startup brewery timeline is fairly straightforward with respect to the collection of legal formalities necessary before a brewery owner can open his/her taproom. The things folks pay less attention to—managing public expectations, social media strategy and brewery identity in the context of target demographics—are the things attorneys can build into their representation. That’s what elevates our practice and keeps us busy. We always want to maintain an edge. Considering the trend mentioned in the last question, that edge will be the deciding factor for long-term success when the market begins to consolidate once again. MB: It seems like the future of law is already here. And it looks like the future of business generally. I read a statistic a couple of months ago that said something like 65% of primary-aged school children will have jobs that are not yet in existence. That’s nuts. Technology is evolving our world. Law is one of those fields that will have to realign its core values to reflect the commodification of information and the instantaneous nature of it. Websites like Legal Zoom successfully persuade people to circumvent forming a relationship with an attorney, in part because we as an industry fail to communicate a proactive value proposition. Folks really only look to attorneys for guidance when something goes awry. I think the future that we are living in affords those of us passionate about front-end representation the platform for effective inward marketing like never before. LM: We live in a time where social media has become an important part of marketing for all businesses. Do you use social media to market your firm? Have you found it to be effective? MB: I use social media for everything—recipes, product reviews, curating of news and knowledge, staying connected with friends and loved ones, etc. Social media is a staple for Carolina Craft Legal. We are in the process of revamping our strategy, with the inclusion of Blake and Cam, to better anthropomorphize our firm’s online presence. Social media is as effective as you let it be. And, as with most things, you can extract a value proportionate to the effort you put into developing your presence. The biggest key for us is making sure we are on message. The alcoholic beverage space is ever changing, with respect to both trends and legislative developments across the country. Social media is not only a way to stay informed, but also a way to connect with fellow attorneys, share ideas and cross promote. LM: What are the 3 most important things to keep in mind for those looking to launch their own practices? 3) Create an effective feedback loop that accommodates necessary change. LM: I noticed that your firm has a blog, “A Lawyer’s Craft.” What led you to start your blog? MB: While there is no substitute for substance, we distinguish Carolina Craft Legal by maintaining an edge and social media is a mainstay of the practice. A Lawyer’s Craft is our main vessel for accomplishing all three of those on a weekly basis. We saw blogging as a non-negotiable “must,” based on the attorneys and practices that influenced us, and the abundance of noteworthy developments in and around the alcoholic beverage and entrepreneurship worlds. Part of our pitch is finding “innovative solutions for local startups and entrepreneurs.” If you keep up with the blog, you might catch us pontificating in that way. By the time this interview is published, Cam, Blake and I will have spoken on a podcast about a recent blog post, “Beyond the Cap: Can Brewers Be Their Own Distributors?” It’s just a fresh look at existing legislation and a possible way to alleviate some industry friction. Ultimately, the blog is a dynamic way for us to thoughtfully contribute to the fields we care about. By committing weekly to offering to our industry and those affiliated something relevant tied to our individual names and the CCL brand, we put the burden on ourselves to continue growing as professionals.